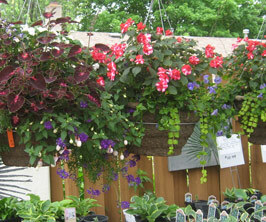 Browse through photos of our Annuals, Hosta, Perennial plants and vines, Vegetable and Fruit plants, Shrubs, Trees. 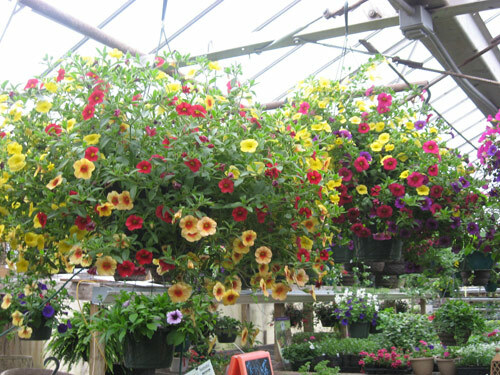 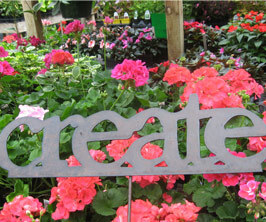 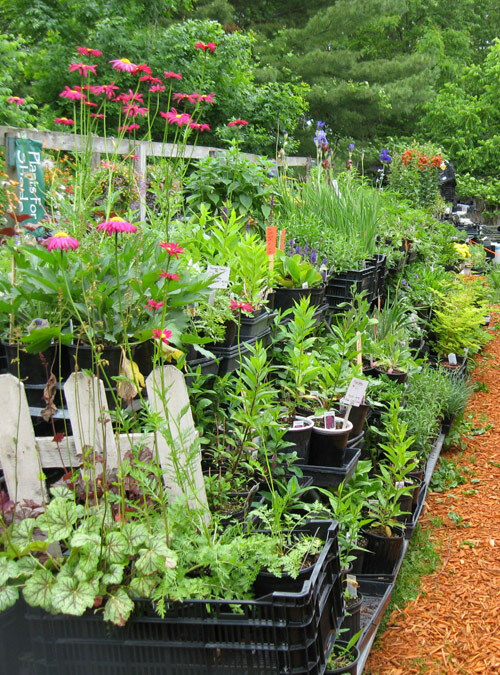 Come and shop our great selection to create a beautiful oasis in your yard! 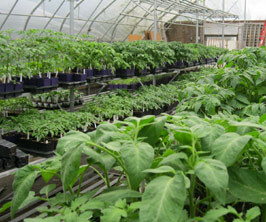 We pride ourselves on growing only the best performing plants. 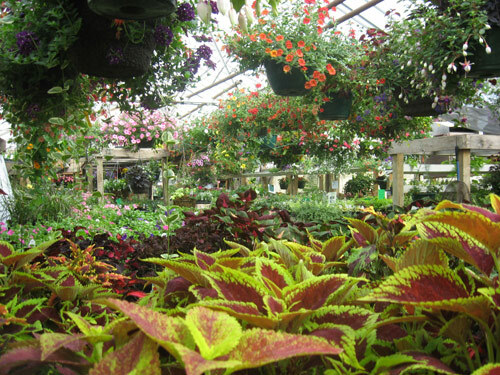 We have a very unique selection and you will be sure to see something here that you can't find anywhere else! 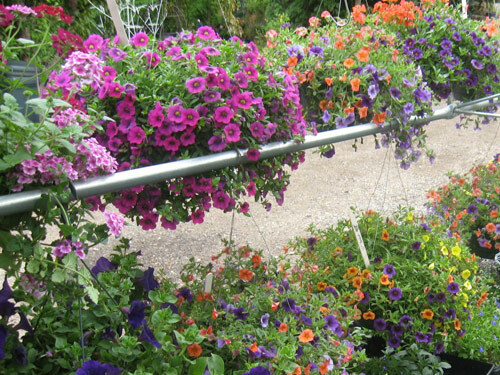 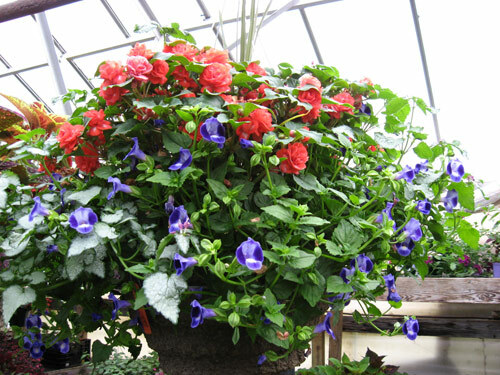 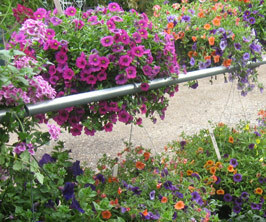 Our hanging baskets are the shining star at our nursery and our growers have years of experience with putting together just the right combinations. 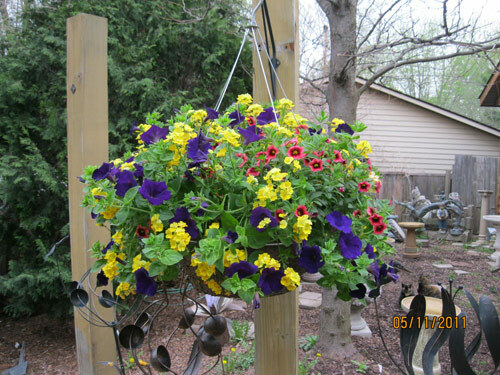 Custom container design is also available! 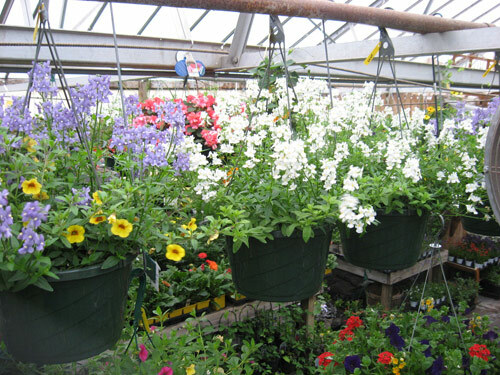 Bring in your own container, or buy one from us, and for a fee, we will plant it early in the spring and have a custom basket or container ready for you when the weather is right for pickup! 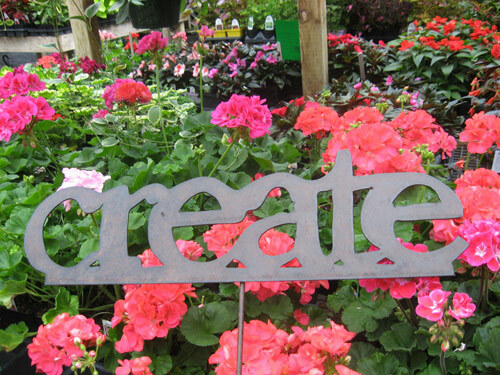 , or we can help you create your own. 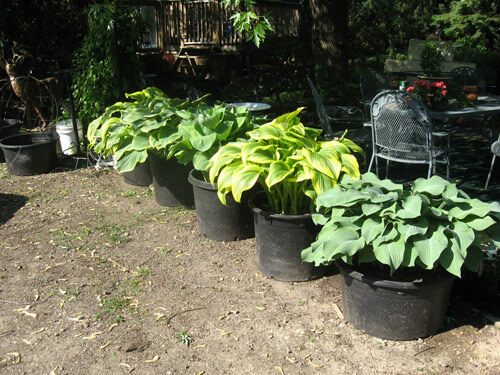 Hosta are a passion for us here at our store and in our own gardens, and our knowledgeable staff can help you search our extensive collection for just the right showpiece for your shade area. 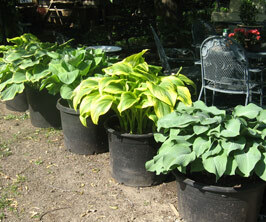 We have giant potted Hosta, small starter plants, or we can sell large, established Hosta dug straight from the display garden. 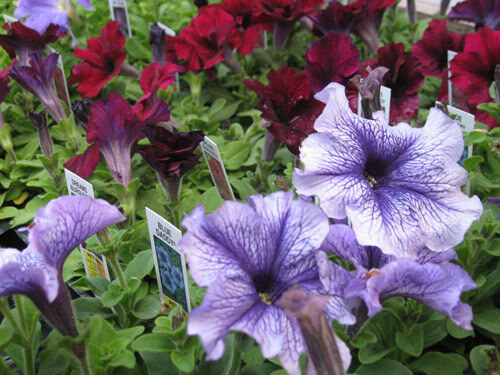 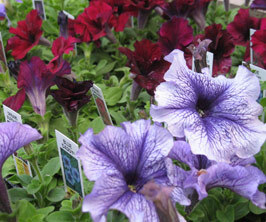 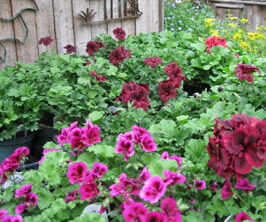 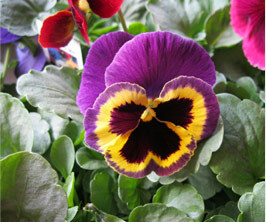 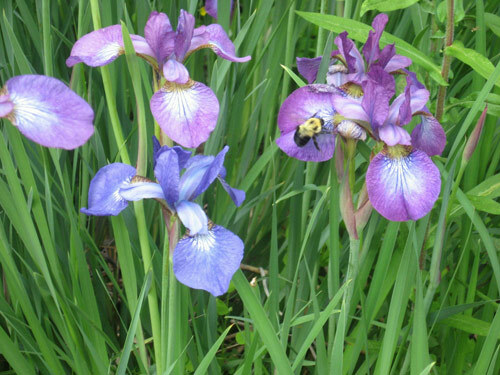 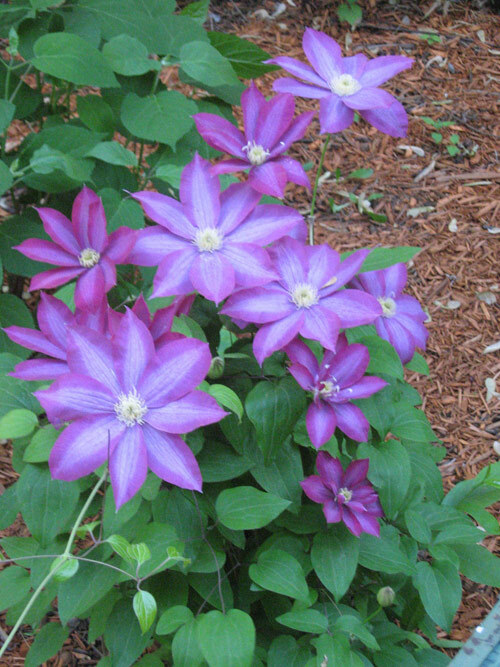 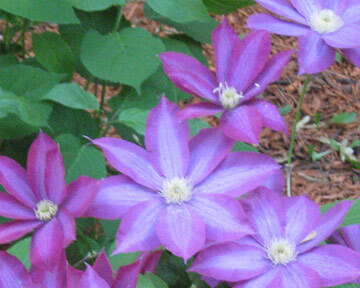 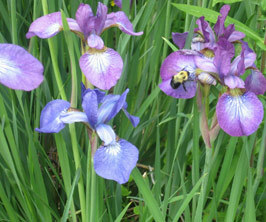 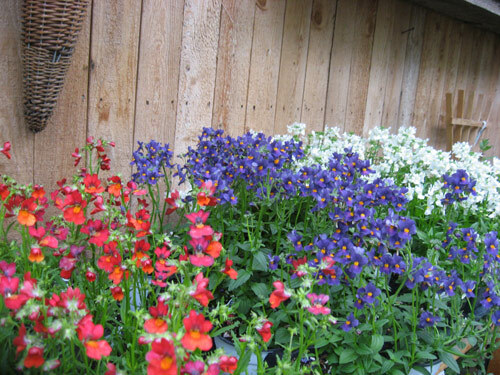 We carry many different perennials and Clematis, and can special order plants for you if necessary. 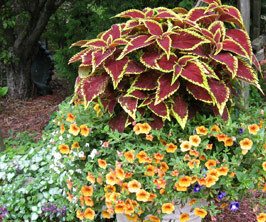 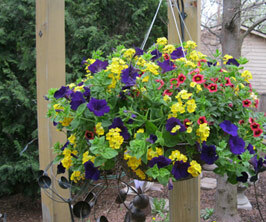 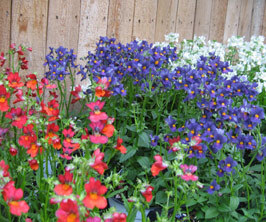 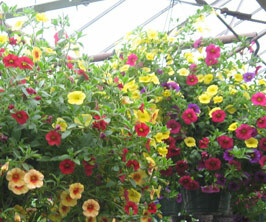 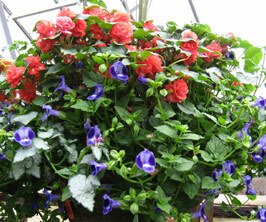 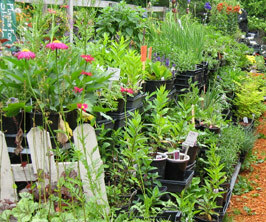 We have large potted plants, or small, inexpensive plants to satisfy any landscape budget. 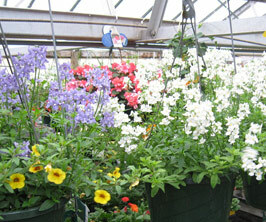 Our selection changes often, so you are sure to find something new when you visit us throughout the season. 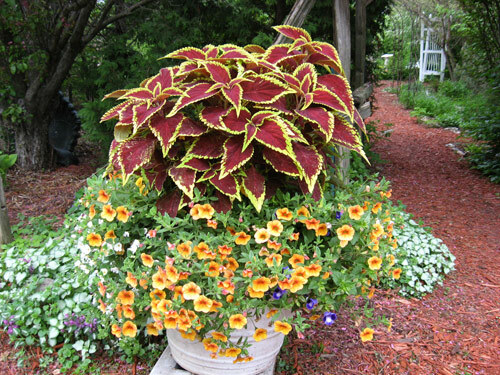 With years of experience designing and landscaping, we can help you choose plants for your design or you can schedule a consultation with one of our designers for an additional fee. 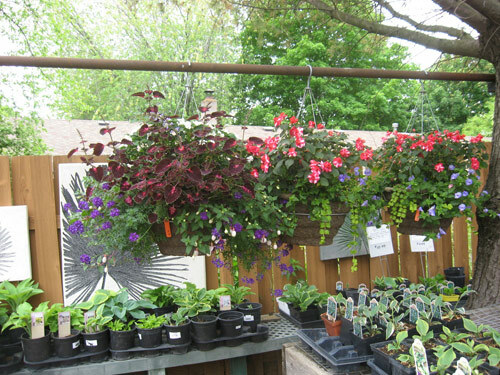 If you are looking to fill larger spaces or create a new shady area in your garden, come browse through our flowering shrubs and trees. 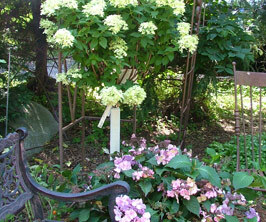 We have the new hydrangeas of the season, along with many other unique shrubs. 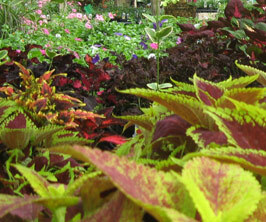 Flowering, fall color, and fruit trees are also available, small to extra large to suit your needs. 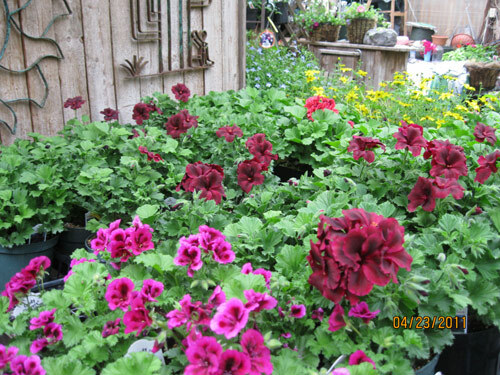 Early spring bloomers, 2 weeks away from Mother's Day!